Started my day in NYC yesterday with a business meeting near Herald Square. I love NYC. The people, the buzz, the energy; all good from my perspective. And then of course there is the never ending stream of places to eat and shop. And yes, NYC is very expensive, no doubt about that. Brought lunch yesterday for $13.50. This consisted of a nice sandwich, chips and an ice tea. $13.50? Really? Later in the day, I walked over to Grand Central Station to catch a train to Greenwich, CT. More on that in a bit. 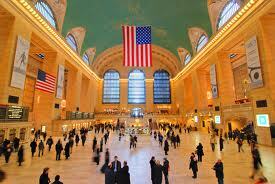 This is the 100 year anniversary of GCT. Happens to be one of the most magnificent train stations in the world. An amazing place. And also now a destination site for retail and commerce. All sorts of stores there now including Apple’s unique location right in the terminal. On my walk to GCT, I also noticed so many retail stores that were just buzzing with activity, sales, entertainment outside to get you inside; innovative retailers doing what it takes to get us to spend a buck. One of the many challenges for retailers is the rental/ownership cost of these physical store locations as well as the size of the stores themselves, where inventory and choices may be limited due to space constraints, store layout and other restraining forces. So every store owner has to deal with making sure they are turning their inventory at that physical location to cover there overhead and make a buck. Today, most retailers also have webstores that are open 24/7 and they use a variety of different techniques to incent you to visit and buy. The commerce evolution continues as savvy retailers blur the line between physical and on-line stores, making your shopping experience even more compelling and creating loyalty through differentiating technology. Well, that is about to change again. EBay Inc is launching virtual stores called “shoppable windows” this month that the e-commerce company hopes will help retailers generate more sales from their existing physical store networks. The first four of these screens will open from June 8 through July 7 in busy parts of New York City, such as the lower east side and Soho. They will sell 30 items from Kate Spade Saturday, a new fashion brand launched this year by apparel retailer Fifth & Pacific Companies Inc. The new screens measure about 9 feet across and 2 feet (0.6 meter) high and will appear on the front windows of closed stores. Shoppers will be able to touch the screens to order and have products delivered to them within an hour via courier. Payment will be accepted by the couriers through PayPal Here, a mobile payment service developed by eBay. This is the latest effort by eBay to work more closely with large retailers that are looking to reach more online and mobile shoppers. The company has attracted some large retailers, such as Target Corp, to its online marketplace, while developing mobile shopping technology for other retailers such as Macy’s Inc.
EBay’s “shoppable windows” are an extension of the shift to mobile shopping. For Fifth & Pacific, the windows will help launch its new Kate Spade Saturday brand without opening new physical stores, at least initially, according to Chief Executive William McComb. “This gives us the ability to produce more from our retail space,” McComb said. “My nickname for it is the Wall as a Mall.” McComb said he is considering putting shoppable windows in small Juicy Couture stores that will offer about 200 different shoes to buy. 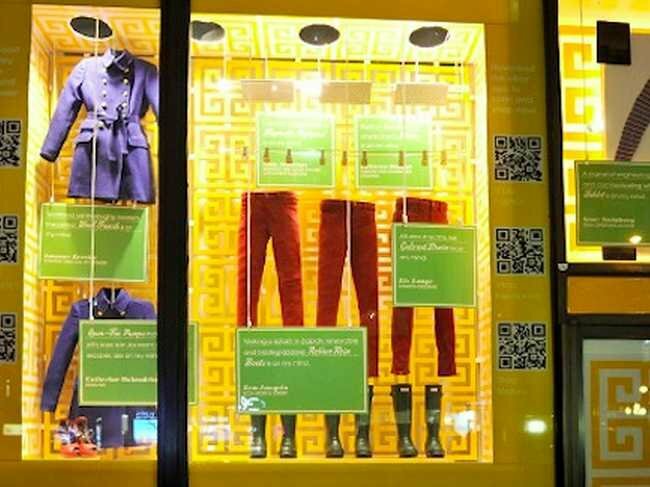 The company may also use the windows in Kate Spade New York stores to sell home furnishings, bedding, linens and towels. Amazing stuff on an amazing day.